Which five words best describe the soul of Gorjana? Timeless, versatile, unique, quality, love. What are the three pieces of jewelry every woman must have? A great everyday necklace that goes with everything; a simple pair of stud earrings that are lightweight and timeless, and an amazing bracelet stack. I never leave the house without my bracelets, wearing just one is never an option! Gorjana pieces are so perfect for layering. Any rules to keep in mind? Layer necklaces at different lengths so they each can shine. Layer a larger stack of bracelets on one wrist and then leave the other more simply stacked. Or you can evenly balance smaller stacks on each wrist. Play with stacking delicate rings on different fingers and across both hands, but if you are going to wear a bigger ring, try to minimize the rest. What is your personal favorite part of the process/life cycle of a Gorjana piece? I love this question! It’s actually the very beginning and the very end. I love the ideation process of designing when we come up with new designs and it’s equally rewarding when I see that finished piece on a customer who loves it as much as I do! 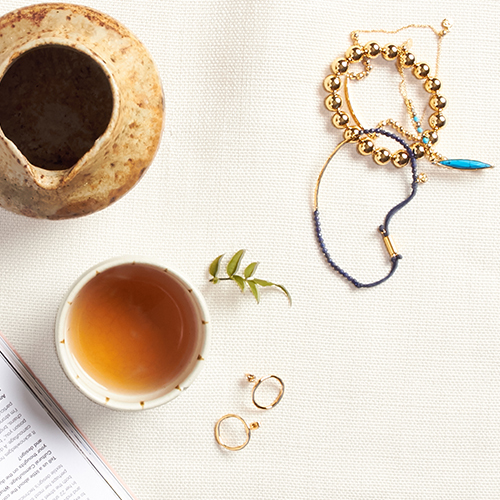 And finally, what do you love most about Le Tote? As a business owner and mother of two, it’s hard to find the time to shop! Le Tote does all the hard work for you and sends boxes of clothes and accessories. It’s so exciting having a box of goodies delivered to your door to open every month! 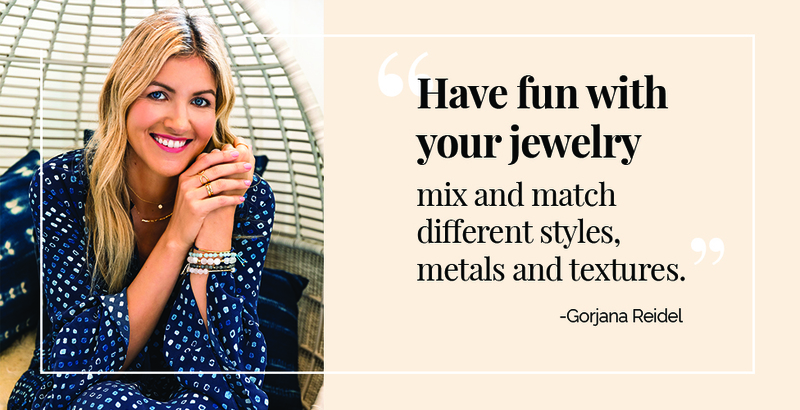 Rent Gorjana jewelry with Le Tote and have the chance to purchase pieces at our special Le Tote price.